Precise graphical surveys of historical buildings and archaeological sites, using the technology of photogrammetry. The above mentioned surveys are necessary for the project accomplishment of archaeological excavation, as well as of consolidation and architectural restoration. Creation of images and animation with virtual reconstructions of historical missing buildings or that have suffered modifications with regard to his initial condition. They are very useful for the research, teaching and outreach in boardrooms of monuments and in the historical heritage Webs. The quality of the photogrammetric surveys is supported by an experience of over 30 years. The service manager is a member of the International Committee on Heritage Documentation, former International Committee for Architectural Photogrammetry (CIPA) under ICOMOS (International Council of Monuments and Sites) and ISPRS (International Society of Photogrammetry and Remote Sensing) than previously he joined as an active member. Many of the works realized by this service have been an object of specific publications in folders of great format, as the surveys of the Alcázar of Seville, Seville Cathedral, the Church of The Salvador of Seville, the Carthusian Monastery of Granada or Madinat al-Zahra. These works were entrusted by the different administrations or entities in charge of the conservation of above mentioned monuments. 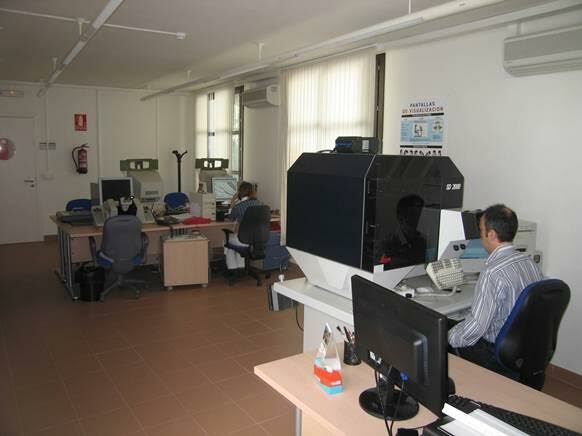 The service attends in a priority way to the needs of documentation and diffusion for the research that are realized in the Laboratory of Archaeology and Architecture of the City (LAAC) of the School of Arabic Studies, but it has fulfilled numerous works contracted by public administrations, companies and individuals. It has aptitude to effect works of topographic and photogrammetric surveys of any type, having fully qualified instruments, software and staff with extensive experience. By the way, it has several total stations of topography, semimetric analogical camera with different optical lenses and analytical stero-plotters able for photograph of up to 23 x 23 cm. For digital plotting it possesses digital cameras with different optical lenses and software for stereo plotting and photogrammetric scanning.